Dogs are the most adorable and loving creatures. They love and care for you more than human beings. And, this video is proof of this that there’s no one who can love you more than a dog. 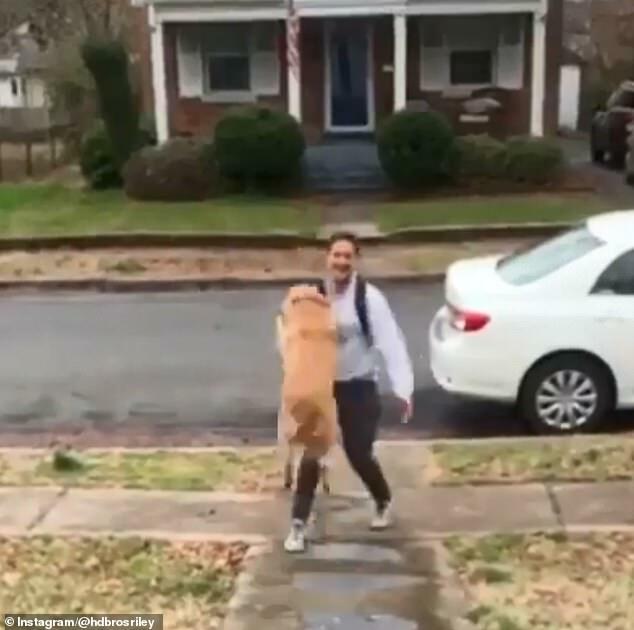 Adorable video footage shows a Golden Retriever getting excited seeing his owner after he comes back home from work. 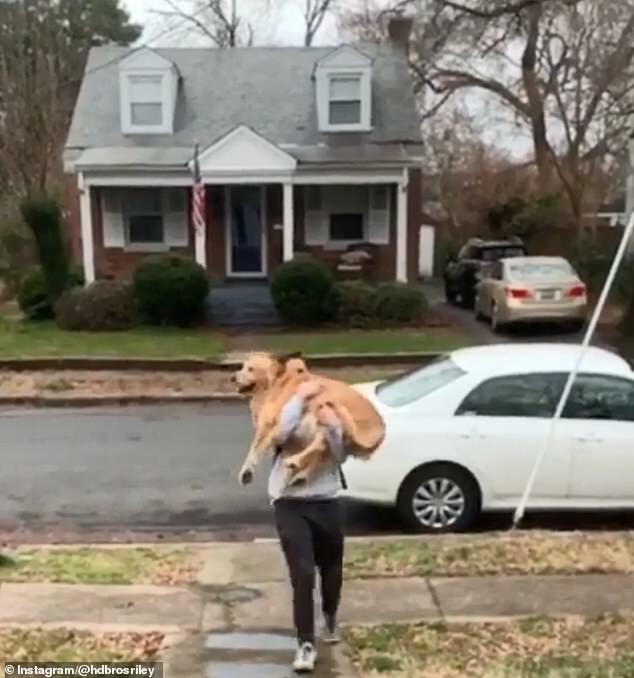 A Golden Retriever was eagerly waiting for his owner to come back home. And, when the owner finally came back home from work, the dog couldn’t contain his excitement. 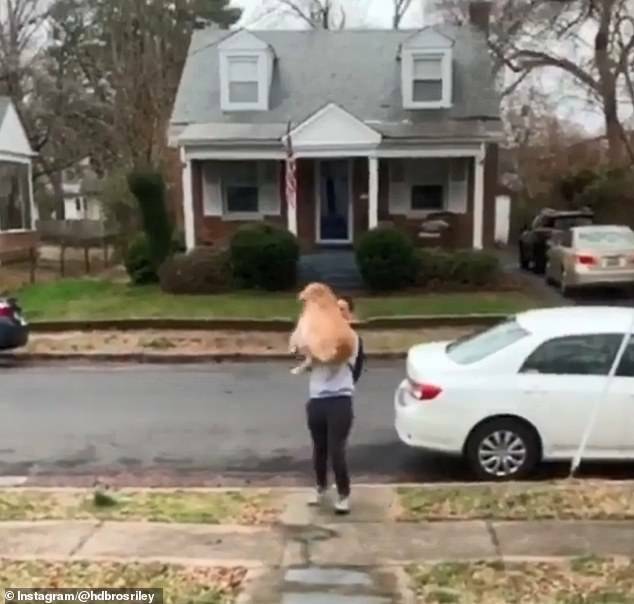 He runs and leaps into the arms of his owner after seeing his owner on the sidewalk outside his Virginia home. The ways he runs seeing his owner and leaps into his arms just melted my heart. He such a good boy! The video received thousands of likes and shares and has been viewed by thousands of Internet users. The adorable dog named Riley has his own Instagram account and is being followed by 23k Instagram users.